How has the BA Lab helped with your major? The Business Analytics lab has helped me explore my intellectual curiosity within finance and asset management in particular. I have had access to industry standard technology, platforms, and resources to aid my learning process. Dream job: to work at a financial institution or financial services company that publishes financial advice regularly and be the one to overlook both the commentary aspect as well as the visual branding. How has the Business Analytics Lab helped with your major? 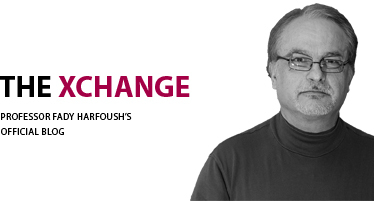 The Xchange is a forum for students, faculty, and business professionals to share activities, ideas, reviews, and comments on the analytics industry and the Quinlan CME Group Foundation Business Analytics Lab.